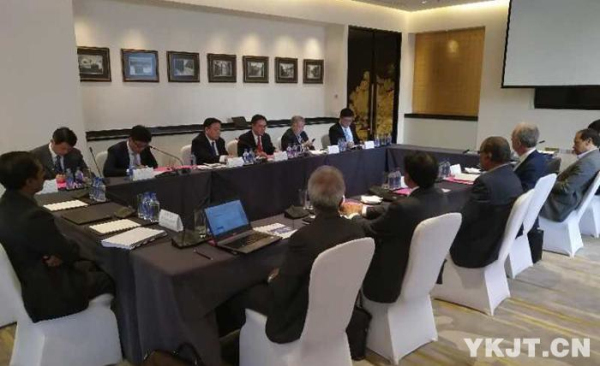 Yankuang Group, the largest State-owned coal company in Shandong province, is to join hands with Mauritius to boost mutual development, a step for the coal giant into the African market. The two sides signed a memorandum of understanding during the Beijing Summit of the Forum on China-Africa Cooperation (FOCAC) held in Beijing on Sept 3-4. According to the agreement, they will cooperate in the fields of infrastructure construction, digital Africa, financial investment, mineral resources development, and Beidou satellite navigation applications. Africa is a continent of immense scale and boasts abundant mineral resources. Yankuang Group, as one of the world's top 500 companies, can provide technological support to help its industries development. Li Xiyong, the president of Yankuang Group, said during the summit that the company will give full play to its advantages of capital, technology and talent resources and set up joint venture companies to provide a wide range of digital, social, technological and financial services to Africa. Dharam, deputy secretary of the Finance Ministry of Mauritius, pointed out that Mauritius, a member of COMESA (Common Market for Eastern and Southern Africa), plays an important role in African economic development. With superior geographical position, sound infrastructure and available investment environment, the country has great potential to develop a high-tech economy.